I’m now entering another three-year term as chair of the Religion Department, thanks to the endorsement of my colleagues who have again elected me for the position. Whether their choice is a wise one, only time will tell! But in truth, I’ve come to enjoy the job because I’m working with a group of academics who are all excellent scholars and teachers, not to mention great people, and so it’s a privilege to continue representing and serving them. In this newsletter, you will find out what we have been up to in this past academic year. The most important piece of news is that Alf Hiltebeitel will be retiring after an extraordinary career at GW that has spanned five decades. A write-up about his many contributions to our department, GW and the academic profession in general can be found in these pages—though it’s difficult to summarize in short order what Alf has accomplished in all three of these spheres in the time he has been with us. You will also find in these pages write-ups about a number of other developments, including a highly successful conference that the Religion Department organized on religion and the environment, a wonderful lecture given by Dr. Thupten Jinpa on Buddhist ethics, the strides made by the Peace Studies program and the MA program in Islamic Studies and a remarkable story about one of our donors, Dr. Ayaz Virji, who has taken it upon himself to battle Islamophobia in the rural Minnesota where he works as a physician. Contained in these pages are also the perennial items: faculty updates, alumni updates, book notices and reflections from the winner of the Yeide Prize, awarded to the top student among graduating religion majors, who, this year, was Sunny Patel. Perhaps the most significant piece of news for the Religion Department in this past year is that Alf Hiltebeitel has announced his retirement after 49 years of service—yes, 49 years. It’s hard to summarize what Alf has done for our department, not just because of the incredible length of time he has been with us, but also because of his immense contributions in scholarship, teaching, and service. With regard to scholarship, Alf retires as one of GW’s most distinguished academics. He is widely regarded as one of the top experts on Hinduism in the world. He has written ten books and edited or co-edited three more. He has also published dozens of articles in academic journals. With regard to teaching, Alf has taught thousands of undergraduates and trained dozens of graduate students in his five decades at GW. Alf received his undergraduate degree in religion from Haverford College in 1963, and a PhD in the history of religions from the University of Chicago Divinity School in 1973. The focus of his research has been the great epics of India (specifically the Sanskrit epics of Mahabharata and Ramayana), regional folk epics and the cult of the goddess Draupadi. Among the many books he has written, several have been on the Mahabharata, including The Ritual of Battle (Cornell University Press, 1976). Special mention should also be made of The Cult of Draupadī (University of Chicago Press, 1988-1993), a monumental three-volume work, as well as Dharma (University of Hawaii Press, 2010) and Reading the Fifth Veda (Brill, 2011). Alf also directed a two-part film, Lady of Gingee: South Indian Draupadi Festivals (1988), that was produced in the Indian state of Tamil Nadu. Alf has also been awarded numerous fellowships throughout his career to support his scholarship, including fellowships from the Woodrow Wilson Foundation, the Guggenheim Foundation and the National Endowment for the Humanities. Alf has served his field in numerous other endeavors. He helped develop the South India Term Abroad Program, and then served as the chairman of its board from 1998 to 2013. From 2009 to 2016, he was editor-in-chief of the Hinduism section of Oxford Bibliography Online, and since 2015 has been editor-in-chief for the series “The Sanskrit Epics: Texts and Traditions” for Motilal Banarsidass Publishers in New Delhi, India. Alf also served on the editorial boards of the most respected journals in his field. At GW, Alf did two stints as chair of our department. He was also director of the Human Sciences PhD program from 1997 to 2002. In recognition of his accomplishments, Alf has received several honors over the years, including the Oscar and Shoshana Trachtenberg Prize for Research (1993), given annually at GW. In 2012, the South Asia Studies Association (SASA) awarded Alf the SASA-Exemplar Award for Academic Excellence at its sixth annual conference. In the same year, an international group of 12 scholars devoted three panels to the subject of “The Mahābhārata as Literature” in Alf’s honor at the 41st Madison WI South Asia Conference. A summary of Alf’s accomplishments would not be complete without mentioning his wonderful personal qualities. Alf has always been kind and gracious in his dealings with colleagues and students. One could also count on him to speak up on behalf of fellow faculty members when he felt they were being treated unfairly. And despite his remarkable accomplishments, he has consistently conducted himself with humility. Alf will be sorely missed. The Religion Department is unlikely to have a faculty member any time soon with his combination of qualities, both professional and personal. This past year, seven new students began the MA program in Islamic Studies. That is the largest cohort of first-year students that we have had so far. The group was also unusually diverse, with students coming from Turkey, China, Indonesia, Morocco and the United States. The remarkably varied backgrounds of these students caught the attention of editors of CCAS Spotlight, the Columbian College e-newsmagazine, which did a write-up of the program and why it attracts students from so many different places. The article also took up the question of why students from Muslim countries come to GW to study Islam. The cohort for beginning students in the coming academic year is likely to be even larger than last year. Eight applicants have committed to our program and some have already registered. The applicant pool was again very diverse, with students applying from Iberia, Turkey, Iran, Albania, Bosnia, China and Pakistan. In addition, Seher Shah received a teaching position at Karachi University. We are also pleased to report on the acquisition and transfer of a rich collection of books on Islamic art to GW’s Gelman Library. Professor Pardis Minuchehr, who teaches Persian at GW, played a central role in bringing this about. The collection belonged to Marie Lukens Swietochowski, an art historian of Islamic Art, who spent 54 years as the curator of Islamic Art at the Metropolitan Museum of Art in New York. The collection encompasses publications covering the diverse artistic traditions of Islamic lands, and it reflects the regional, chronological and material diversity of these traditions from the earliest period to the present day. Many of the books are on technical aspects of calligraphy, painting and bookbinding—important facets of the study of Islamic art. The Peace Studies Program concluded another successful year with the graduation of five majors this past May. The program currently has approximately 25 majors and minors, the majority of whom are from Columbian College and the Elliott School. The course, Introduction to Peace Studies and Conflict Resolution, continues with its extremely strong enrollments. Unfortunately, our incredible adjunct professor, Alexandra Carroll, who has taught a number of the introduction courses over the last few years, will be leaving the Washington, D.C., area. We wish her well on her upcoming nuptials and her move to Vermont. In her place, we have hired Eli McCarthy, who brings with him a wealth of both academic expertise and hands-on experience in the area of religion and peacebuilding. This year’s Peace Studies Program capstone seminar featured a number of innovative projects, ranging from an internship with Teach for America to a research paper on peacebuilding among university students in the post-conflict Balkans. The newest member of the Peace Studies Program is Hannah Barry, who will be our social media intern. Be sure to follow us on Facebook and Twitter! Eyal Aviv devoted much of his time this past year to his book project, Telling Pearls from Fish-Eyes: Ouyang Jingwu’s Search for Authentic Buddhism in Modern China, which he plans to finish this year. He also wrote an entry on the life and thought of Ouyang Jingwu for the forthcoming Encyclopedia of Buddhism to be published by E.J. Brill. He also worked on a paper about the tension between the idea of rebirth and the theory of “no-self” in Buddhist Philosophy and another paper on the political and social philosophy of the Vietnamese Zen monk, Thích Nhất Hạnh. In addition, he presented a paper titled “Vasubandhu on the Problem of Rebirth and No-Self” at the American Philosophical Association annual meeting in Baltimore. Paul Duff completed a book that will be released in November, Jesus Followers in the Roman Empire. His article, “Alone Together: Celebrating the Lord’s Supper in Corinth (1 Cor 11:17-34)” will appear in the in The Eucharist: Its Origins and Context: Sacred Meal, Communal Meal, Table Fellowship in Late Antiquity, Early Judaism, and Early Christianity, edited by Dieter Sänger and David Hellholm. 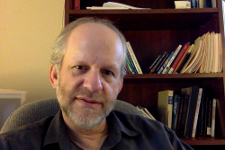 Robert Eisen spent this past year working on two books. He put the finishing touches on Religious Zionism, Jewish Law, and the Morality of War, which will be published by Oxford University Press in October. He has also been working on another book project, Jews—A Success Story: How an Oppressed Minority Survived Centuries of Persecution and Thrived in the Modern West. This book is intended for a general audience. Mohammad Faghfoory completed the second volume of Life After Death: Resurrection, Judgment, and the Final Destiny of the Soul, which will be published by Kazi Press. He also published two articles in the Persian-language journal, Basatin, on manuscript collections of Shi‘a tradition and culture in Sulaymaniyyah Library in Istanbul. His English publications are currently being translated into Persian, with three volumes to be published soon. His projects in progress include an anthology of Shi‘a commentaries on the Qur’an and research into the clergy-state relationship in Iran since the 1979 revolution. Xiaofei Kang finished a collaborative book, Contesting the Yellow Dragon: Ethnicity, Religion and the State in the Sino-Tibetan Borderland, published by E. J. Brill. (For more details, see “Book Notice” in this newsletter.) She was invited to present papers and give talks on gender and Chinese religion at Columbia University, the Chinese University of Hong Kong, Tel Aviv University, and Tel Hai College in Israel. She also co-organized a workshop on reading primary sources in gender and Chinese religion at GW. Derek Malone-France continued developing both scholarly and broader public connections between the humanities, especially religion and philosophy, and the scientific field of astrobiology—which is the study of the origins of life, its evolution and the possibility and implications of discovering life on other planets. Derek’s article “Society, Ideology, and Cosmic Organicity” was published in the journal Process Studies (45:1). He gave an invited plenary address, titled “The Matter of Religion,” at a special symposium on “The Future of Life” at the Georgia Institute of Technology. He was also invited to give a lecture on “Astrobiology and Process Theology” at the Center for Process Studies, at the Claremont School of Theology. In May, Derek was named to the scholarly Advisory Council for METI, International (the “Messaging Extraterrestrial Intelligence” initiative that has been spun-off from the SETI Institute) with the mission of developing ethical strategies, technologies, and practical approaches for the pursuit of active contact with extraterrestrial forms of intelligence. Derek also developed and taught two new courses: Religion and the Concept of Extraterrestrial Life and Religious and Philosophical Concepts of Peace. Kelly Pemberton published an article, co-authored with Jenny Takhar of CELSA-University of Paris IV Sorbonne, titled “Reproducing ‘Rhetrickery’ in Online Fertility Marketing: Harnessing the ‘Rhetoric of the Possible.’” The article will appear in the journal Consumption, Markets & Culture in the fall. She continues to write chapters for two books in process: Gender, Piety, and the Sacred in Islam and Islam and Gender Activism: A Global Perspective. This past fall, Kelly traveled to Lahore Pakistan to deliver a paper titled “Securing State Support for Gender Activism in Pakistan: an Uphill Battle?” at a conference on gender sponsored by GW and the Lahore College for Women University. She also played a role in organizing a conference at GW on “Religion and the Environment,” and she continues to work with colleagues at GW and elsewhere to build upon the work of that conference for events and projects that will take place in the coming months. (See the full story on these initiatives in this newsletter.) Kelly also continues to blog for the Huffington Post, with a recent post titled “Trump’s Travel Ban is on Hold, but What Does that Mean for Muslims Seeking Asylum in the US?” The blog can be accessed directly on her Huffington Post webpage or through the link on her website. Jon Wood is making steady progress on his first book, Priesthood in Reformation Zurich: Heinrich Bullinger’s End-Times Agenda. The manuscript is now complete and is in the process of review for publication. In October, he joined Luca Baschera of the Institute for Swiss Reformation History at the University of Zurich for a special panel at the gathering of the Sixteenth Century Society in Bruges, Belgium. The year 2017 marks the five-hundred-year anniversary of Martin Luther’s famous posting of the 95 theses, which initiated the Protestant Reformation. The anniversary has prompted many groups in the D.C. area to invite Jon to lead special discussions of Reformation history. The coming months will therefore be very busy for him. I want to first express my gratitude to the Religion faculty for not only recognizing my academic achievement by granting me this generous prize but for playing a critical and positive role in my development as a young scholar in the field of religious studies. I would also like to thank the contributors to the Yeide Fund for making this gift possible. Upon graduating I will continue to advance in the study of religion, particularly religion in South Asia, by first developing a strong foundation in the Sanskrit language. Towards this end, I will be spending two years in India undergoing rigorous Sanskrit language training. Simultaneously, I hope to explore India and observe firsthand the milieu in which the religious traditions that I will be studying are practiced. After this immersive experience I will return to the United States to pursue higher level studies in South Asian religions, after which I hope to be able to teach and publish as a professor in this field. 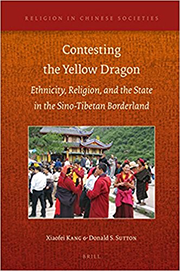 Xiaofei Kang, together with Donald Sutton of Carnegie Mellon University, have published a book titled Contesting the Yellow Dragon: Ethnicity, Religion and the State in the Sino-Tibetan Borderland with E. J. Brill Publishers. The book is the first long-term study of relations among Tibetans, Chinese Hui Muslims and others in the region of the border that separates China and Tibet. Combining historical research and extensive fieldwork, the book examines the cultural politics of this part of the northern Sichuan province from the early Ming period (1379-644) up to the present. It also brings to light creative local adaptations in culture, ethnicity and religion as successive regimes in Beijing have struggled to control and transform this distant frontier. The book won Choice’s “Most Outstanding Academic Title” in 2016. 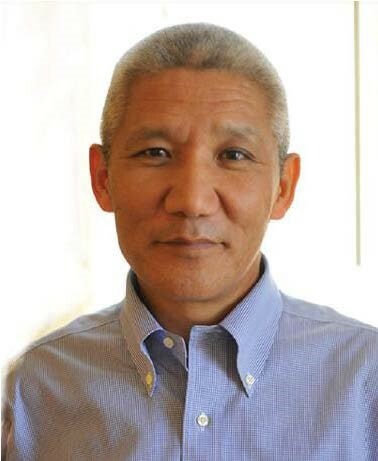 This year’s Ziffren Lecture featured Dr. Thupten Jinpa, a distinguished scholar of Buddhism who is the official translator of the Dalai Lama’s work into English and teaches at McGill University in Montreal. Jinpa spoke on “Neural Buddhism and the Mindfulness Revolution? Buddhist Thought, Secular Ground, and Global Ethics.” which explored the intellectual, cultural and spiritual implications of the growing presence of Buddhism-derived contemplative practices in the West. He also addressed the potential for East and West to meet at a meaningful place of cross-cultural transformation in order to produce a more global and inclusive concept of ethics. The event was co-sponsored by the Tibet Governance Project. The lecture attracted a sizeable audience, filling up the elegant City View Room on the top floor of the Elliot School of International Affairs. The audience was also diverse. It included GW faculty and students, as well as a good number of people in the D.C. area interested in Buddhism and Buddhist ethics. 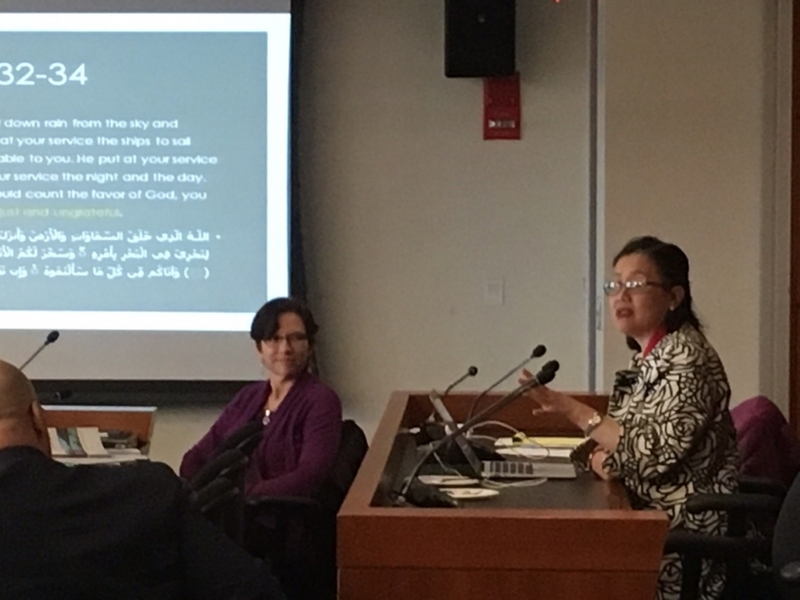 Dr. Mayfair Yang discusses the talk given by Dr. Sarra Tlili during the afternoon panel. David and Sherry Berz graciously allowed the Religion Department to use the endowment for the annual lectureship in their name to support a one-day conference on the subject of religion and environment. There are few issues that are more important in today’s world than the environment, and religion will play a key role in how that issue is handled, given the influence of religion on the lives of individuals throughout the world and on global politics in general. The event was so successful that the Religion Department is planning more events on religion and the environment. That effort is being led by two faculty members, Derek Malone-France and Kelly Pemberton, both of whom have strong interests in this subject. Derek and Kelly will be working together to determine the focus and format of future events on the issue. They are also seeking funding from individuals and outside organizations to support their initiative. Kenneth Ames, BA ’99, started a new job at Red Banyan as the director of client relations. They specialize in public relations, strategic communications, crisis PR, online reputation management, government affairs and media training. Xhesika Bardhi, BA ’15, recently returned from completing a Fulbright teaching grant in Turkey. This upcoming fall, she is heading to the University of Chicago to pursue an MA in Middle Eastern Studies. Brooks Boron, BA ’14, graduated this past May from the Ohio State University Moritz College of Law where he served as the editor-in-chief for the American Bar Association's Section official law journal on Dispute Resolution. Sarah Gillespie, BA ’06, works as an interfaith chaplain in Lewiston, Maine. She is in the process of becoming a board-certified chaplain through the Association of Professional Chaplains. Brian Hare, BA ’76, thinks to this day that Professors Jones, Wallace, and Yeide are the best professors ever. Brian graduated from seminary, retired as Army Chaplain and is now an associate professor at Stevenson University. Ahmed Hassan, MA ’16 worked as an Arabic and Islamic Studies instructor in the biggest K-12 Islamic school in the Chicago metropolitan area after he graduated. He was also recently admitted to Indiana University's NELC PhD program and will join the program this fall. Blake Horridge, BS ’05, is excited to announce that he and his wife, Nealy, recently became parents to baby boy named Lincoln. Blake has also started overseeing academic advising for Claremont McKenna College. Benjamin Levy, BA ’04, is the new upper division dean of Judaic studies at Denver Jewish Day School after serving on the faculty for eight years. Ziji Leo Lin, BA ’16, is currently pursuing a master's degree in international relations at Waseda University in Tokyo, Japan. Ty Miranda, BA ’14, recently returned from her service as a Peace Corps volunteer. She is now at GW earning her MPH in global health policy. This summer, she biked across the USA with Bike & Build to raise money and awareness for affordable housing. Blair Moreland, BA ’03, runs a freelance communications and PR business that specializes in security tech & advertising PR. She lives in Birmingham, Mich., with her two children and is very active in her church, Royal Oak First United Methodist. Jay Pandya, BA ’15, is in his third year of medical school at GW SMHS concentrating in global health. He was in India last summer conducting medical education research on a GW-led emergency medicine residency program which fosters health capacity building. Batul Razvi, BA ’03, is now working as an attending anesthesiologist at Washington Hospital Center in Washington D.C. She has two children, a 6-year-old girl and a 5-year-old boy. She likes to travel with them and show them diverse cultures and religions of the world. Seher Shah, MA ’16, completed a curatorial internship at The Textile Museum in July 2017, and will be teaching an Islamic art history course at the School of Social Sciences and Liberal Arts at IBA in Karachi, as a visiting faculty member this fall. Marc Shuster, BA ’98, is doing great in Miami! He is married to Lilian Shuster, also class of ’98. They have three kids, a 13-year-old daughter, Rita, and identical boy twins who are 10, but all three of them share the same birthday! Rachel Talbert, MA ’97, is pursuing a doctorate from GSEHD at GW after serving as vice president of curriculum at the Close Up Foundation for five years. William (“Basil”) Tsimpris, BA ’98, is a staff attorney for the Supreme Court of Virginia and lives in Richmond with his wife, Jen, and their two children, John Landon and Anne Kathryn. Rehan Waheed, BA ’03, is a practicing physician in western Maryland. He is married with children and wishes everyone at GW-Religion the best! The Religion Department would like to gratefully acknowledge the following generous donors who made a gift to the department from July 1, 2016 – June 30, 2017. A major donor to the Religion Department, Dr. Ayaz Virji, was recently featured in a lengthy and moving write-up in The Washington Post. Dr. Virji is a physician in Dawson, a small town in rural Minnesota. He recently organized and contributed to a fund-raising effort that resulted in a $400,000 donation to the Religion Department to support its MA program in Islamic Studies. The Post did a story on Dr. Virji because of his remarkable efforts to educate people in his region about Islam. The majority of the residents of the district in which Dawson is located supported Donald Trump in the November election, and a local Lutheran pastor and patient of Dr. Virji’s, Mandy France, was concerned about the hostility toward Muslims that the election had unleashed. The pastor therefore asked Dr. Virji to give a public talk about Islam. Dr. Virji reluctantly agreed, and the talk was so successful that he was asked to give subsequent talks in other towns nearby. The article reflects on Dr. Virji’s trepidations about his experience as well as the positive impact his lectures had on the audiences he addressed. Its underlying message is that religion is a source of strife in part because of ignorance and a lack of contact between people from different religious communities. Dr. Virji’s story provides evidence that those problems can be confronted and confronted effectively if they are handled properly. The Religion Department is very proud to have Dr. Virji as one its supporters. Gifts to the Department of Religion allow us to provide support for faculty and student research and travel, graduate student fellowships, and academic enrichment activities including guest speakers, visiting faculty, and symposia. Each gift, no matter how large or small, makes a positive impact on our educational mission and furthers our standing as one of the nation's preeminent liberal arts colleges at one of the world's preeminent universities.